Birth and death are two aspects of life, which will happen to everyone. 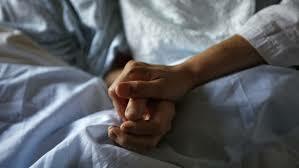 Dying and death are painful and personal experiences for those that are dying and their loved ones caring for them. Death affects each person involved in multiple ways, including physically, psychologically, emotionally, spiritually, and financially. Whether the death is sudden and unexpected, or ongoing and expected, there is information and help available to address the impact of dying and death. "cessation of heart- lung function, or of whole brain function, or of higher brain function. "either irreversible cessation of circulatory and respiratory functions or irreversible cessation of all functions of the entire brain, including the brain stem" - (The President's Commission for the study of Ethical problems in Medicine and Biomedical and Behavioral Research, US, 1983). Although each person reacts to the knowledge of impending death or to loss in his or her own way, there are similarities in the psychosocial responses to the situation. Kubler-Ross' (1969) theory of the stages of grief when an individual is dying has gained wide acceptance in nursing and other disciplines. The stages of dying, much like the stages of grief, may overlap, and the duration of any stage may range from as little as a few hours to as long as months. The process vary from person to person. They are videly known in the acronym 'DABDA'. On being told that one is dying, there is an initial reaction of shock. The patient may appear dazed at first and may then refuse to believe the diagnosis or deny that anything is wrong. Some patients never pass beyond this stage and may go from doctor to doctor until they find one who supports their position. Patients become frustrated, irritable and angry that they are sick. They may become angry at God, their fate, a friend, or a family member. The anger may be displaced onto the hospital staff or the doctors who are blamed for the illness. The patient may attempt to negotiate with physicians, friends or even God, that in return for a cure, the person will fulfill one or many promises, such as giving to charity or reaffirm an earlier faith in God. The patient shows clinical signs of depression- withdrawal, psychomotor retardation, sleep disturbances, hopelessness and possibly suicidal ideation. The depression may be a reaction to the effects of the illness on his or her life or it may be in anticipation of the approaching death. The patient realizes that death is inevitable and accepts the universality of the experience. Under ideal circumstances, the patient is courageous and is able to talk about his or her death as he or she faces the unknown. People with strong religious beliefs and those who are convinced of a life after death can find comfort in these beliefs (Zisook & Downs, 1989). Dying is a different experience for everyone involved. Rigor Mortis: body becomes stiff within 4 hours after death as a result of decreased ATP production. ATP keeps muscles soft and supple. Algor Mortis: Temperature decreases by a few degrees each hour. The skin loses its elasticity and will tear easily. Livor Mortis: Dependant parts of body become discolored. The patient will likely be lying on their back, their backside being the 'dependant' body part. The discoloration is a result of blood pooling, as the hemoglobin breaks down. Hospice is a specialized program that addresses the needs of the catastrophically ill and their loved ones particularly accepte in US and West. A team approach is provided in hospice that may involve physicians, nurses, social workers, clergy, home health aids, volunteers, therapists and family caregivers. Hospice workers can help a dying person manage pain, provide medical services and offer family support through every stage of the process, from diagnosis to bereavement. Provision of an interdisciplinary care team of physicians, nurses, spiritual advisers, social workers and counselors. Palliative care is the active total care of patients whose disease is not responsive to curative treatment (World Health Organization). The relief of suffering is one of the central goals of palliative care in terminal illnesses. Control of pain, of other symptoms and of psychological, social and spiritual problems is paramount. The goal of palliative care is the achievement of the best possible quality of life for patients and their families. Palliative care is a special care, which affirms life and regards dying as a normal process, neither hastens nor postpones death, provides relief from pain and other distressing symptoms, integrates the psychological and spiritual aspects of patient care and offers a support system to help patients live as actively as possible until death and helps the family cope during the patient’s illness and in their own bereavement. It respects the goals, likes and choices of the dying person. It looks after the medical emotional, social and spiritual needs of the dying person. It supports the needs of the family members. It helps gain access to needed health care providers and appropriate care settings. It builds ways to provide excellent care at the end of life. Some of the commonly used techniques to deal with death anxiety. Religion is a prime source of strength and sustenance to many people when they are dealing with death. Different religious theories explain the inevitability and even necessity of death from different perspectives. According to the Gita, soul is not destructible but immortal. It says that death of the body is certain and irrelevant but eternal Self or the universal Self is immortal, therefore there should be no grief over what is inevitable, even necessary. It further explains that the Self instead of dying, merely goes on to take a new body and start the process all over again, therefore it is pointless to worry about the discarding of the present body (Srimadbhagvadgita, ch. 2, verse 11, 22, 23; Kamath, 1993). In The Bible death has been viewed as “Blessed are the dead who die in the Lord from now on…….that they may rest from their labors, and their works follow them (Revelations, ch. 14, verse 13)”. Islamic belief says- death as the begining of eternal life. Every individual will be questioned about his deeds in this life and he will be awarded Heaven or Hell based on His judgement. Death anxiety is inversely proportional to life satisfaction (Yalom, 1980). When an individual is living authentically, anxiety and fear of death decrease (Richard, 2000). Recognition of death plays a significant role in psychotherapy, for it can be the factor that helps us transform a stale mode of living into a more authentic one (Yalom, 1980). Confronting this realization produces anxiety. Frankl (1969) also contends that people can face pain, guilt, despair and death in their confrontation, challenge their despair and thus triumph. It also postulates that a distinctly human characteristic is the struggle for a sense of significance and purpose in life. Existential therapy provides the conceptual framework for helping the client challenge the meaning in his or her life. Concern: Empathy, compassion, and involvement are essential. Competence: Skill and knowledge can be as reassuring as warmth and concern. Communication: Allow patients to speak their minds and get to know them. Children: If children want to visit the dying, it is generally advisable; they bring consolation to dying patients. Cohesion: Family cohesion reassures both the patient and family. Cheerfulness: A gentle, appropriate sense of humor can be palliative; a somber or anxious demeanor should be avoided. Consistency: Continuing, persistent attention is highly valued by patients who often fear that they are a burden and will be abandoned; consistent physician involvement mitigates these fears. Assessment of the severity of the symptoms. Evaluation for the underlying cause. Addressing the social, emotional and spiritual aspects of the symptom. Discussing the treatment options with the patient and family. Using therapies designed as around the clock interventions for chronic symptoms. Reevaluating the control of the symptom periodically. Be fully prepared to accept their own counter transferences, as doubts, guilt and damage to their narcissism are encountered. Management of the dying patient often elicits anxiety in nursing staff. Education and role playing can improve perspective taking and empathetic skills, respect each other’s point of view as well as appreciate the situation of patient and their families. Developing a sense of control and efficacy. Encouraging peer groups for families coping with bereavement. Developing increased resourcefulness in dealing with death related situations. Recognizing that a moderate level of death anxiety is acceptable. Improving our understanding of pain and suffering will also improve communication and effective interactions. The contemporary practice of palliative care raises important ethical issues that deserve thoughtful consideration. Patients have a right to refuse Life-sustaining treatment, even if they die as a consequence (Stanley, 1992). 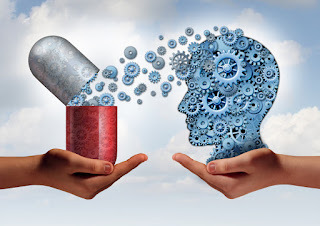 Here the patient must have the ability to comprehend the available choices and their risks and benefits, to think rationally and to express a treatment preference. the patient must have freedom from coercion. NDE is an altered state of consciousness usually occurring after traumatic injury and almost invariably involve risk of life. Some people belief that they were actually “in death”. They report that after “dying” they left their body and floated away, become enveloped in a dark tunnel, and then enter a soothing light, later when they come back to life they are able to recall the events that occurred when they were dead. During the episode their entire past flash before them. Hallucinations caused by hyperactivation of amygdala-hippocampus-temporal lobe a response of oxygen starved brain, have been proposed as a physiological explanation. After effects of NDEs include: increase in spirituality, concern for others, appreciations of life and decrease in fear of death, materialism, and competitiveness. Since 1960s, Stevension and Pasricha have systematically investigated hundreds of cases of children, who claim to remember their previous life. These children show atypical behavioural and emotional patterns consistent with their claims. Various explanations like fantasy, fraud, cryptamnesia, paramnesia, socio-cultural expectations have been proposed, but their data is in favour of reincarnation hypothesis. Cryonics is the preservation of the dead body to be revived, till the time, medical technology advances to do so. Reflects denial of the inevitable. There is no way to preserve bodies so that their organ will resume functioning when they are thawed (Darwin and Wowk, 1992). Immortality does not yet fall within the province of technology (Shermer, 1992). Currently, these efforts are simply wastage of resources. Feinberg A. W. The care of dying patients. Annals of internal medicine. 2007 Jan 17; 126 (2): 164-65. Meyers T. a turn towards dying: presence, signature, and the social course of chronic illness in urban America. Med Anthropol(PMID 17654261). 2007 July-Sept;26(3):205-27.